Your loved one will feel beautiful with this stylish compact mirror. 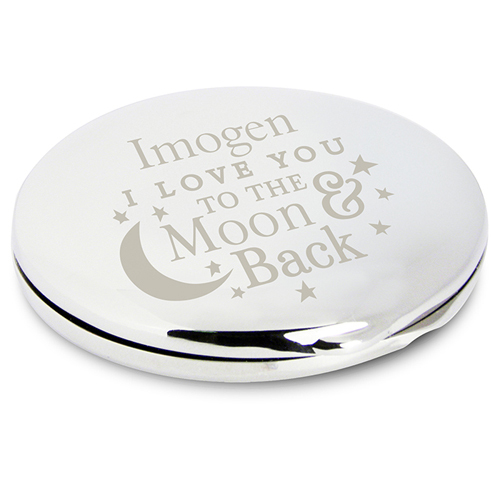 Personalise this round Compact Mirror with a Name up to 12 characters long. 'I Love You TO THE Moon & Back' is fixed. Compact is nickel plated with a magnet fastener.